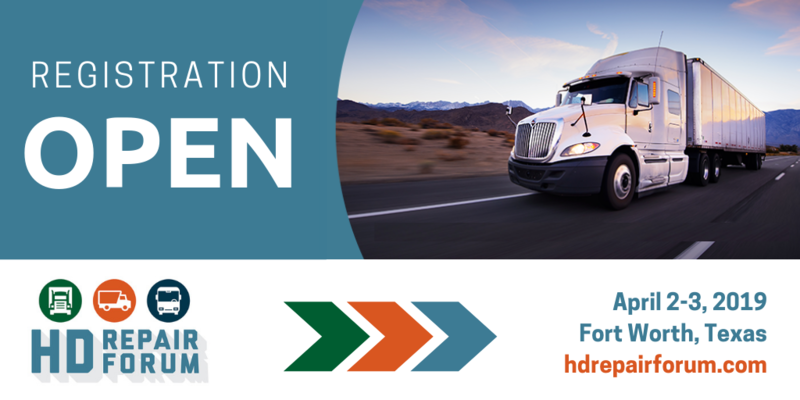 The HD Repair Forum is a unique event created specifically for the heavy-duty collision repair industry. Our aim is to facilitate high-level conversations around pertinent matters that are affecting this industry. Focused discussion topics include: parts pricing and sourcing, insurance relations, new vehicle technology, estimatics, vehicle scanning and diagnostics, repair processes and procedures, employee training, and several other important matters. For a complete overview of this year’s agenda, click the 2019 Agenda tab in the orange navigation bar above. From experience, we’ve seen progress evolve while setbacks and inefficiencies disappear, when the stakeholders involved in the repair process are able to voice their circumstances and hear the positions of others in the industry. At the HD Repair Forum, our aim is to facilitate the opportunity for focused communication to take place within the heavy-duty collision repair industry. Making way for progress by recognizing satisfying our mutual customer is what brings us together. The HD Repair Forum is the space for the heavy-duty collision repair industry stakeholders to come together, review the current solutions the industry offers and begin to find resolutions to gaps that exist. Ensure you don’t miss the 2020 event and take part as the industry moves to make the collision repair process of commercial vehicles as quick, as safe, and as efficient as it should be. Get updates on the 2020 HD Repair Forum, receive our monthly e-newsletter, and learn more about what being part of our community has to offer by sign-uping at the link below. The 2020 HD Repair Forum Event Details will be announced soon. Check back here or sign up for updates at this link.